Former Haryana Chief Minister Bhupinder Singh Hooda's suggestion that the state government reward Manushi Chhillar has drawn flak from incumbent Manohar Lal Khattar, who said "the former chief minister offered is his temperament, as his thinking is confined only to plots and cash"
Chandigarh: Former Haryana Chief Minister Bhupinder Singh Hooda's suggestion that the state government give Rs 6 crore and a plot to honour state-born Manushi Chhillar for winning the Miss World 2017 title has triggered a war of words between him and incumbent Manohar Lal Khattar. What has further fuelled the spat was Mr Hooda taking a dig at Mr Khattar's bachelor status. Mr Hooda, a two-time chief minister, said that the Khattar-led BJP government should honour Ms Chhillar by offering Rs 6 crore, a plot and a job to her, as was given to Olympic Games gold medal winning player. Mr Khattar took strong exception to Mr Hooda's suggestion on Wednesday, saying "what the former chief minister offered is his temperament, as his thinking is confined only to plots and cash. One should think above all this". Mr Khattar praised Ms Chhillar for her reply to the last question at the Miss World contest when she was asked, which profession deserves the highest salary and why? Her reply was, "I don't think it is just about cash. But I think it is about love and respect. All mothers sacrifice so much for their kids. Therefore, I think the profession that deserves the highest salary is that of mothers", Khattar said. When Mr Hooda was asked by reporters to comment on Mr Khattar's remarks, he replied, "What I was talking about was a serious issue. What I said was that Manushi deserves to be honoured at par with Olympic gold medal winning players. She made the entire state and the country proud. But till today Sakshi Malik has not been given a job. Besides, there are a number of other players who should have been given a job, but during last three years they have been running from pillar to post." "I believe daughters deserve full respect and they should not be insulted by such loose talk. Anyway, I don't think Khattar sahib is to be blamed for this as only that person can understand the pain who has a daughter of his own," Mr Hooda said, taking a veiled dig at 63-year-old Khattar, who is a bachelor. Hitting back at Mr Hooda on Friday, Mr Khattar said that he considered the entire Haryana as his family. "This personal comment does not make any difference to me, but it reflects the mindset of Hooda. One should not indulge in such cheap politics and refrain from making personal comments," Mt Khattar said. "Although I did not raise my own family and have no son or daughter, yet I always remain deeply concerned about the sons and daughters of the state, and consider them as my own family. 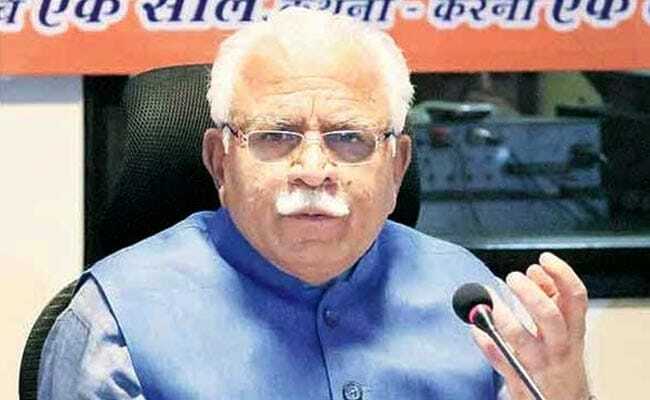 For me, entire Haryana is my family," Mr Khattar told reporters. The Chief Minister said that Manushi Chhillar would be suitably honoured after a round of consultation with her. "She is coming to Kurukshetra on November 30 and will also participate in a programme to be organised at Bhagat Phool Singh Women University in Khanpur Kalan in Sonipat on December 1. The state government plans to ask for her cooperation for a social cause," he added.